Black SHTF Survival Logo Folding Wallet - Nylon Canvas Construction, Large Bill Pocket, Two Card Compartments | BUDK.com - Knives & Swords At The Lowest Prices! 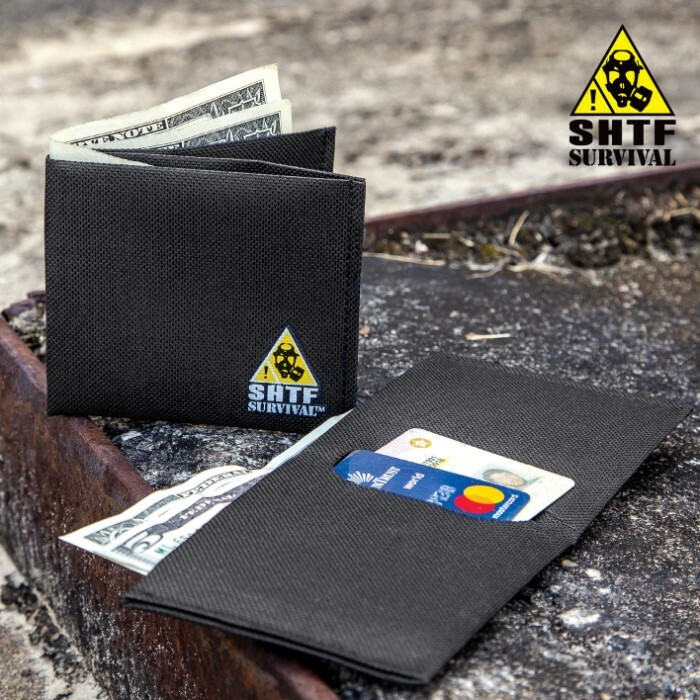 Our tough and durable Black SHTF Survival Logo Folding Wallet is a great way to show everyone how committed you are to prepping for SHTF. 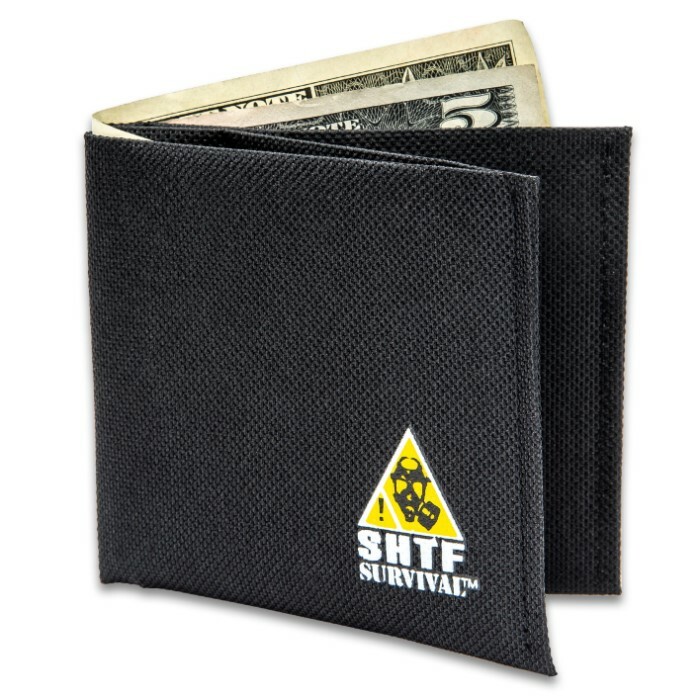 The SHTF Survival logo is screen-printed in bright yellow, white and black on one corner of the black sturdy nylon canvas wallet. It has a large bill pocket and two smaller compartments for credit cards, insurance cards or your driver’s license. 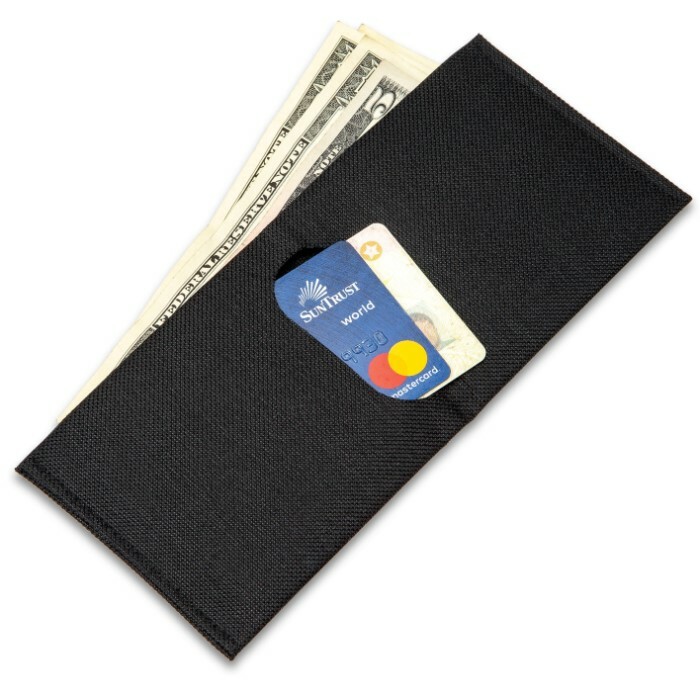 The lightweight wallet is 3 1/4”x 7 1/2” when open and 3 1/4”x 3 3/4” when folded, perfect to just grab and go with!